The NovaVane Wind Speed and Direction Sensor is designed for use in high wind and marine environments. 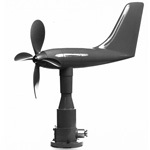 It features a sensitive four-blade propeller made of high impact plastic to withstand gale force winds. The NovaVane Wind Speed and Direction Sensor is designed for use in high wind and marine environments. It features a sensitive four-blade propeller made of high impact plastic to withstand gale force winds. The body of the sensor is constructed of aluminum and high impact plastic. 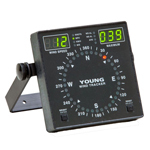 The base is aluminum with a mounting hole pattern that matches other marine style sensors. The NovaVane provides a single sensor design to measure both wind speed and wind direction. The use of internal wiring and slip rings enables speed and direction transducers to operate inside the same housing. The aerodynamic design of the housing and the materials used in the fabrication of the instrument contribute to the durability and the responsiveness of the sensor. Wind speed is measured by the response of the propeller to the wind. 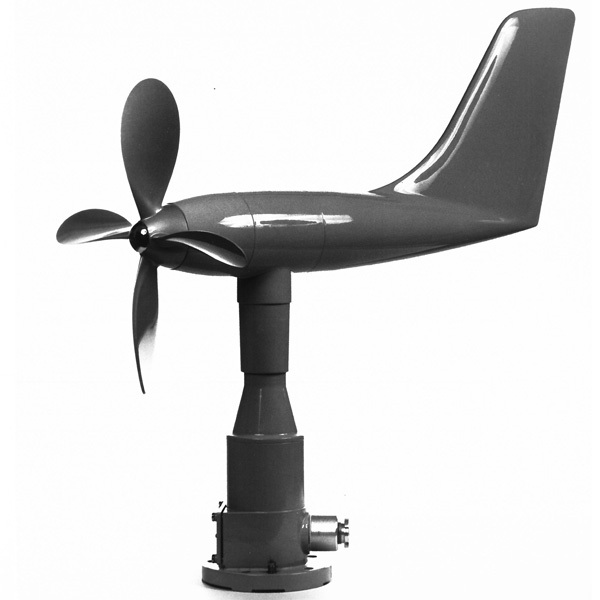 The propeller is coupled directly to a precision-built four-pole AC generator which produces an alternating current with a voltage that is proportional to the wind velocity. The generator is brushless, providing long life and reliable performance at low temperatures. Wind direction is measured by the response of the aerodynamic body which aligns itself with the direction of the horizontal wind. The sensor shaft is attached directly to the wind direction transducer, producing an output signal which varies in proportion to the horizontal angle of the wind.